It was purely by chance that my "walking buddies" and I ended up visiting Abbotsford House in the Scottish Borders near Melrose sometime in September last year. Since the weather forecast for that day looked horrific further North, we decided to head down to Melrose in the Scottish Borders as it looked better especially later on in the day and do one of the walks starting from Melrose. However, the weather was very dreich - drizzle, low cloud, cold and damp... 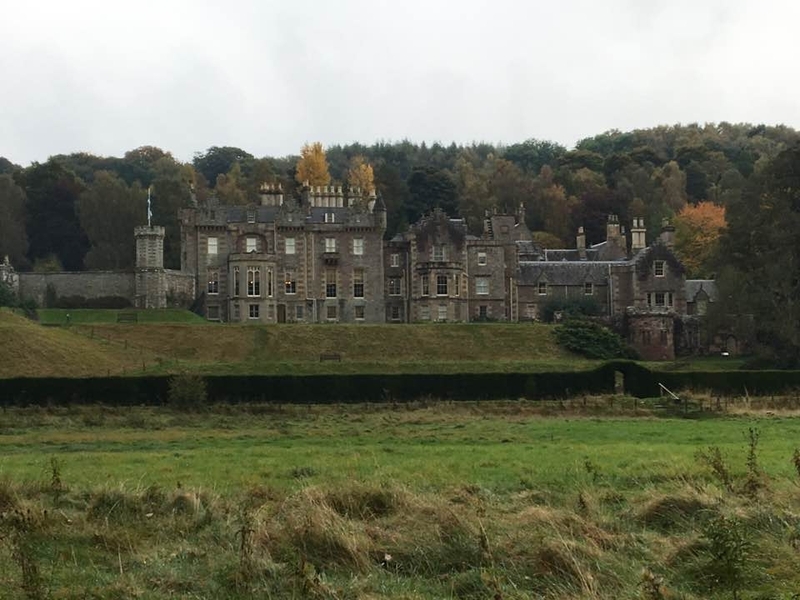 Suddenly we saw a sign for Abbotsford House, the home of the Scottish writer Sir Walter Scott and thought why not visit it? I had been there 19 years previously with my aunt and uncle from France on a gloriously sunny day in May... but my walking buddies had never been. So there it was, we parked the car, went in, I blagged my way as a VisitScotland employee to get in for free (not even a badge to show as this was totally impromptu) and started the visit. The Visitor Centre was new to me - it traces the life of Sir Walter Scott and shows diverse exhibits such as objects and pieces of writing etc and was very informative. 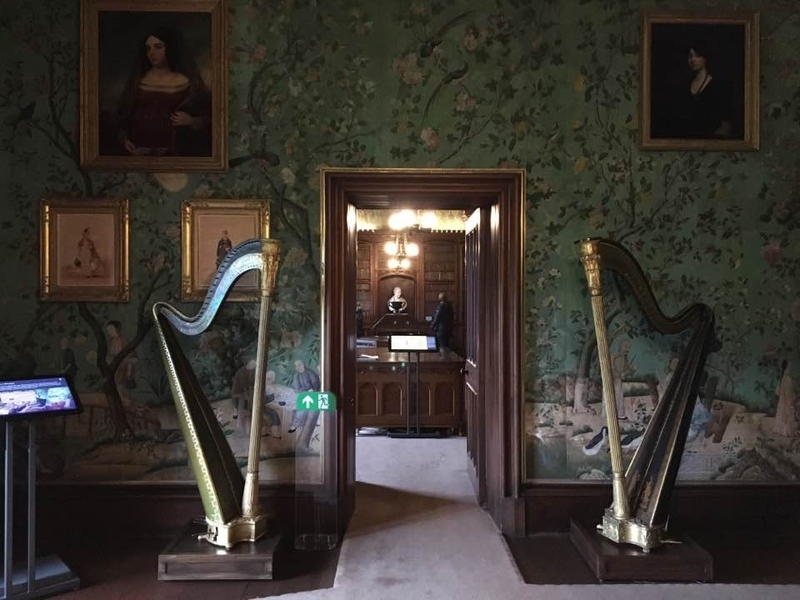 Then we went into the House itself: you begin in the Entrance Hall (which was freezing - I don't know how the staff could stand there all day long greeting and setting up visitors with audio guides). We then went on to visit several rooms including Scott's Library where he spent hours everyday writing his books and poems - the sad thing is, since he was in debt due to the collapse of Ballantyne's printing business of which he was a partner, he had to deep writing his way out of debt and did so until his death in 1832. He preferred this way to accepting money from his many admirers and supporters or declaring himself bankrupt which says a lot about the man... which is why he was such a prolific writer! After a restorative bowl of nice mushroom and tarragon soup (eventually!! They brought us a watery tomato soup instead the first time and we weren't having any of it!!) from the restaurant we decided to set off on our walk following the river Tweed which runs behind Abbotsford House. We were blessed and the sun came out - so we walked to nearly as far as Melrose and back - about 7 km in total. We encountered a couple of fishermen on the way (a popular pastime on the River Tweed). The trees were beginning to turn to their autumn colours which is great feature of autumn in Scotland - at their peak in October the colours are spectacular!! 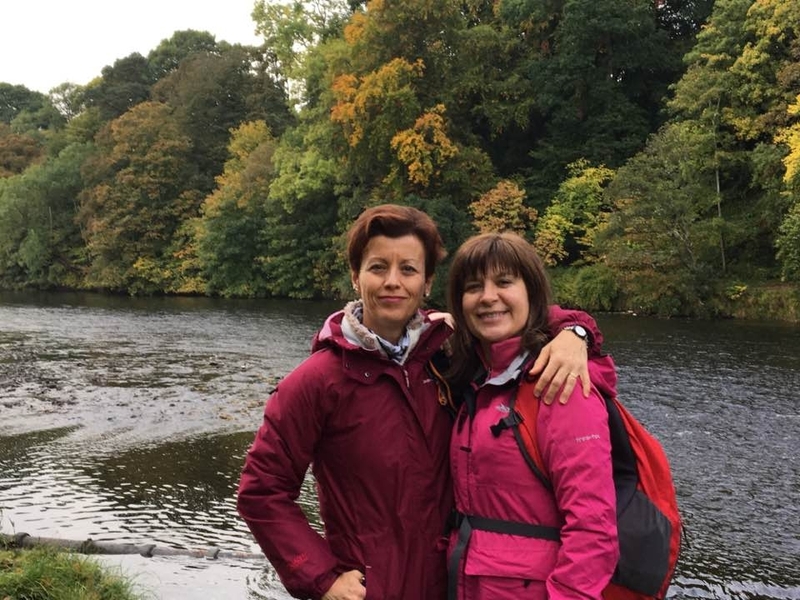 Meet my dear walking buddies Charo and Chelo from Spain - both have lived in Edinburgh for many years like me!! So an excellent day was had by all! 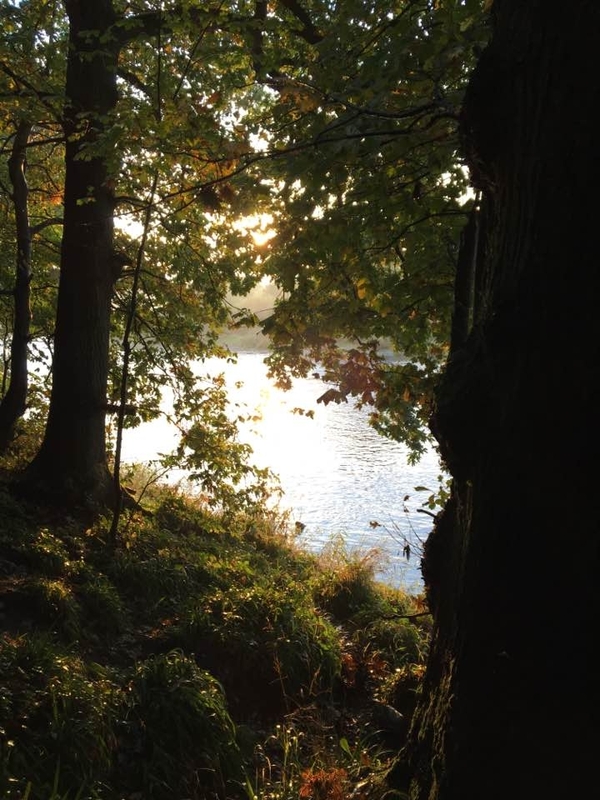 Truly recommend the great outdoors - nothing like it to clear the mind and feed the soul. In fact Sir Walter Scott was a great believer of the outdoors which is why he chose to move to the country from his native Edinburgh. The poor man was plagued by depression and found solace in the woods - I guess in those days mental health issues were even harder to talk about than nowadays. As a young child Sir Walter Scott had survived a bout of polio which left him lame - and with a limp for the rest of his life - and was sent to his paternal grandparents' farm to recover in the Scottish Borders countryside where he surely developed a great attachment to this area. He drew inspiration for his work from his fascination by the oral traditions of the Borders. He married a French woman Charlotte Geneviève Charpentier and they had five children. 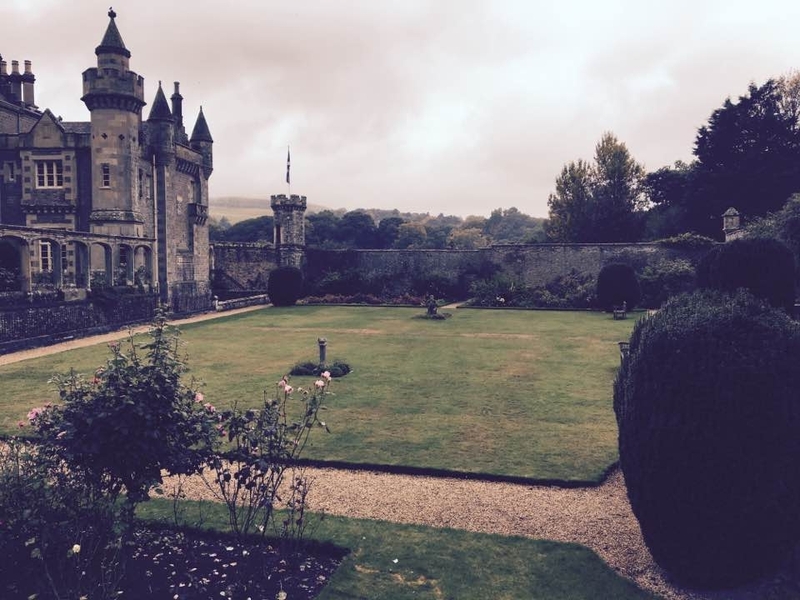 Abbotsford House also offers accommodation and I am sure it provides guests with a very special experience indeed! 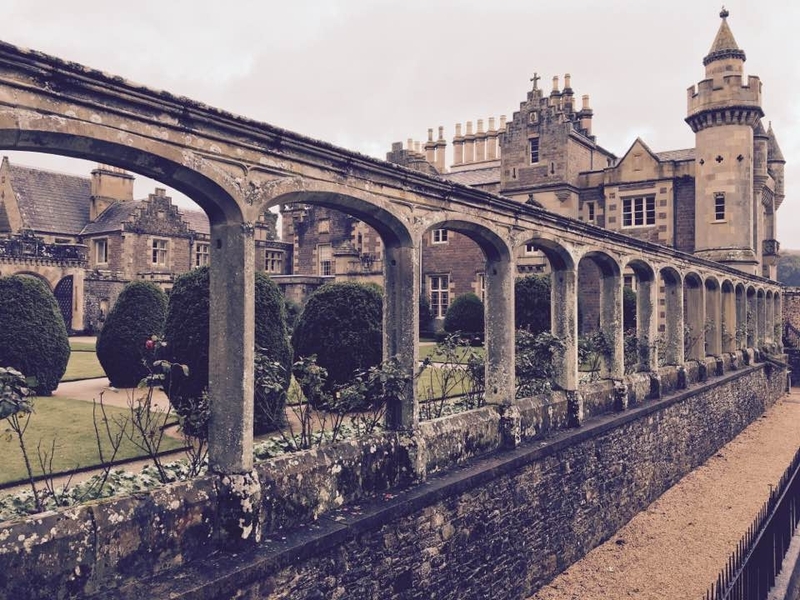 As with many other special venues, people can also get married at Abbotsford House. Ah Abbotsford - this is right on my doorstep - well nearly, 5 minutes from my house. 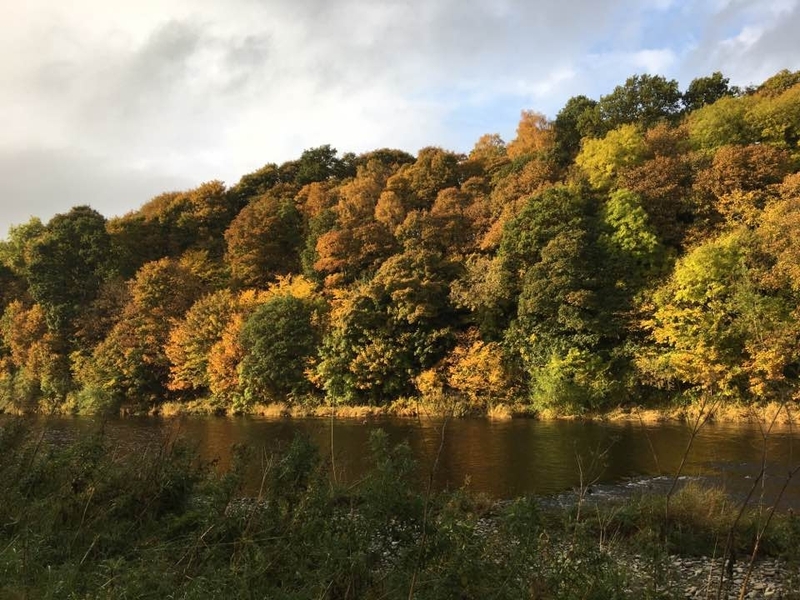 It really is a stunning location, right on the bank of the River Tweed. The house oozes history in every corner and the new (not so new now) visitor centre and restaurant is a great place to meander round and then have a refreshment. 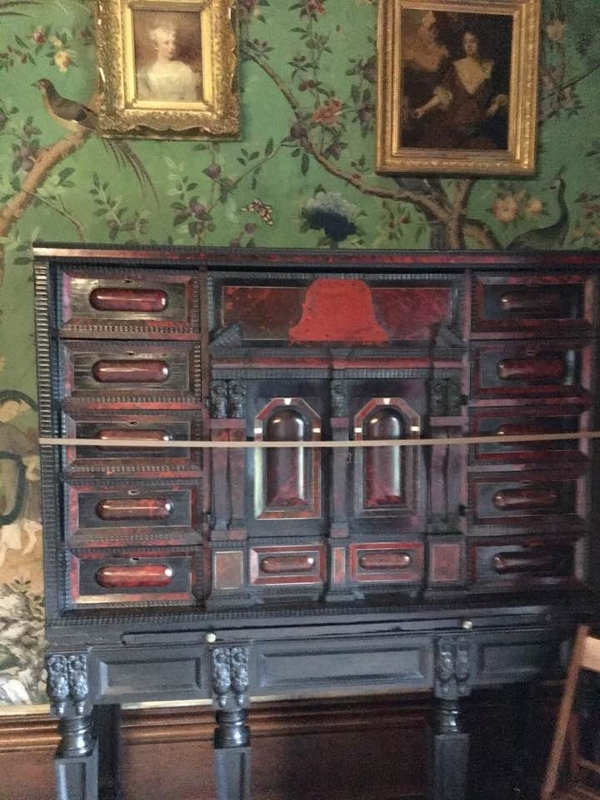 Sir Walter Scott's study is absolutely fascinating and would be great to hear other 'Scott' stories from others. Did you manage to climb the Eildon Hills as well? Another Scottish Borders icon - 'Scott's View, near Dryburgh' looking over to the Eildon's has an amazing story, Sir Walter Scott stopped at this point so often on the way to his home that his horses would halt without command. After his death in 1832, his funeral cortège passed this way en route to his burial at Dryburgh Abbey and his horses stopped at his favourite view to allow their master a last look at the Borders landscape. In fact, although the funeral procession did pass this way, the halt was due to 'some accident'. I love this story about Sir Walter Scott's funeral @alowlandhighlander. I had no idea!! Thanks for sharing your wisdom with us. Does anyone else have any more interesting stories to tell about this great man?